The World Bank Group yesterday in Washington DC announced a major new set of climate targets for 2021-2025, doubling its current five-year investments to around $200 billion in support for countries to take ambitious climate action. The new plan significantly boosts support for adaptation and resilience, recognising mounting climate change impacts on lives and livelihoods, especially in the world’s poorest countries. 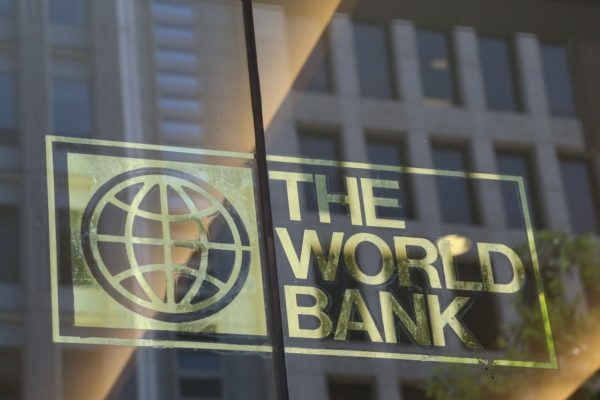 In a statement, the bank said the plan also represents significantly ramped up ambition from the World Bank Group, sending an important signal to the wider global community to do the same. World Bank Group President, Jim Yong Kim, said, “climate change is an existential threat to the world’s poorest and most vulnerable. These new targets demonstrate how seriously we are taking this issue, investing and mobilising $200 billion over five years to combat climate change. The $200 billion across the group comprises $100 billion in direct finance from the World Bank (IBRD/IDA), and $100 billion of combined direct finance from the International Finance Corporation (IFC) and the Multilateral Investment Guarantee Agency (MIGA) and private capital mobilised by the World Bank Group. A key priority is boosting support for climate adaptation, recognising that millions of people across the world are already facing the severe consequences of more extreme weather events. By ramping up direct adaptation finance to reach around $50 billion over FY21-25, the World Bank will, for the first time, give this equal emphasis alongside investments that reduce emissions. World Bank Chief Executive Officer, Kristalina Georgieva, said “people are losing their lives and livelihoods because of the disastrous effects of climate change. We must fight the causes but also adapt to the consequences that are often most dramatic for the world’s poorest people. The new financing will ensure that adaptation is undertaken in a systematic fashion, and the World Bank will develop a new rating system to track and incentivise global progress. The statement said actions will include supporting higher-quality forecasts, early warning systems and climate information services to better prepare 250 million people in 30 developing countries for climate risks. IFC CEO, Philippe Le Houérou said “There are literally trillions of dollars of opportunities for the private sector to invest in projects that will help save the planet. The new targets build on the World Bank Group’s 2016 Climate Change Action Plan. In 2018, the World Bank Group provided a record-breaking $20.5 billion in finance for climate action: doubling delivery from the year before the Paris Agreement and meeting its 2020 target two years ahead of schedule. “The World Bank Group will continue to integrate climate considerations into its work, including screening projects for climate risks and building in appropriate risk mitigation measures, disclosing both gross and net greenhouse gas emissions, and applying a shadow carbon price for all material investments. “To increase system-wide impact for countries, the World Bank Group will support the integration of climate considerations in policy planning, investment design, implementation and evaluation. It will also support at least 20 countries implement and update Nationally Determined Contributions and increase engagement with Ministries of Finance in the design and implementation of transformative low-carbon policies,” the statement further stated.